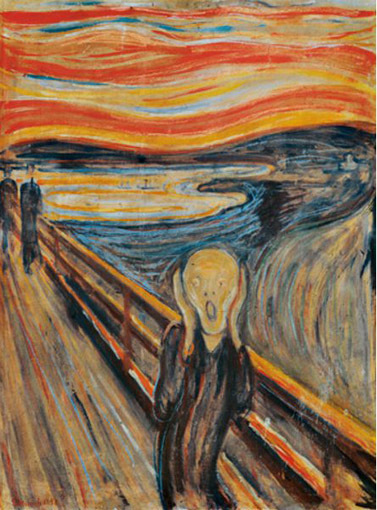 There are several theories that attempt to explain the underlying inspirations or motives for this iconic image by Edward Munch. But, according to the artist, it was drawn from an experience where he was walking at sunset by the Oslofjord in Norway. He says that he felt unwell and witnessed a sunset of deep - "blood" - red and felt as if he was experiencing "a scream passing through nature". This jigsaw is inspirational to do - a challenge and a pleasure! 500 pieces. 49 x 36 cms.